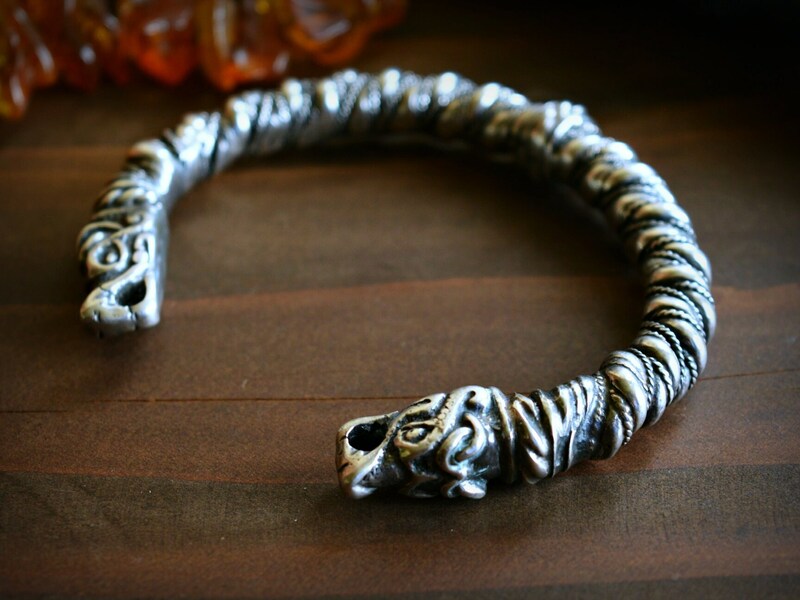 Silver Viking bracelet with dragon head terminals, bold and thick. A unique and solid piece of Viking art. 95 grams of silver! 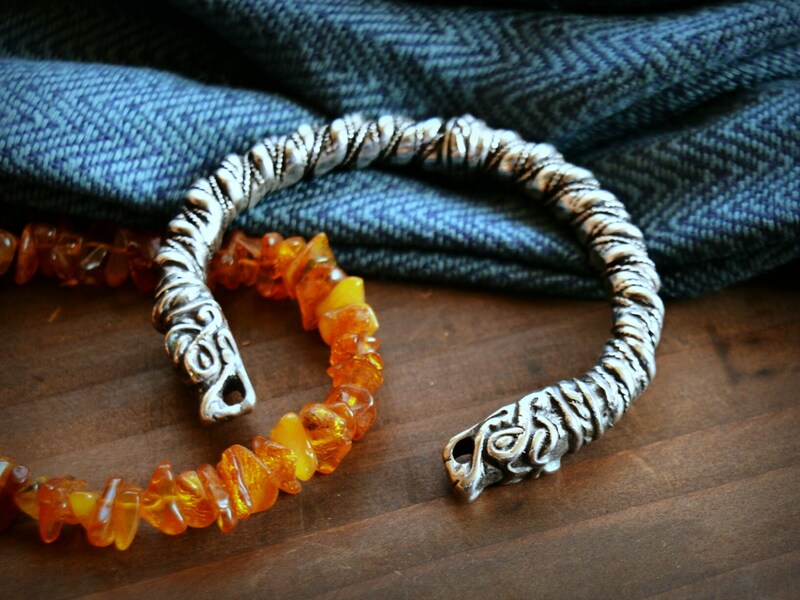 Completely hand-made armring (this is not a cast piece! 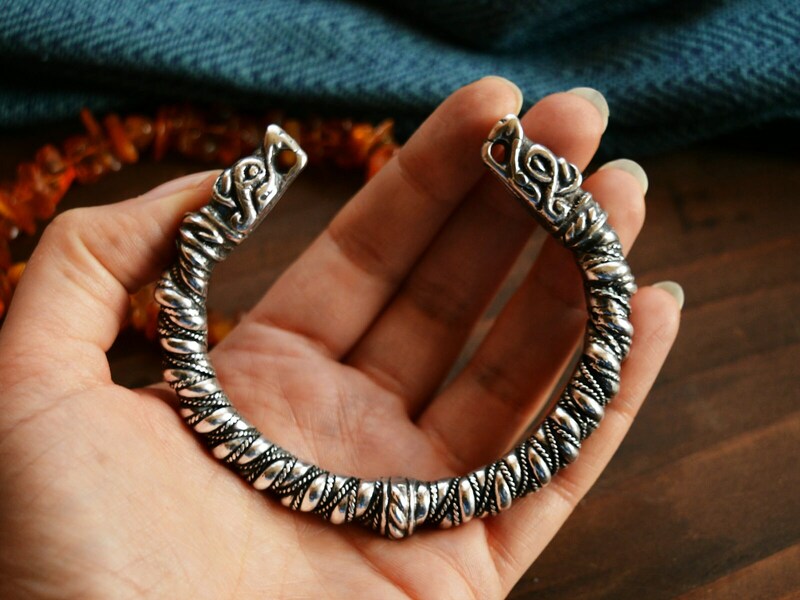 ), made in authentic smithing technique used by Vikings for creating bracelets and necklaces (neck-rings). It is ended with terminals based on a find from Burg, Gotland. It brings so much of Old Norse symbolism: dragons are the beasts, which appears so often in Viking mythology and art. 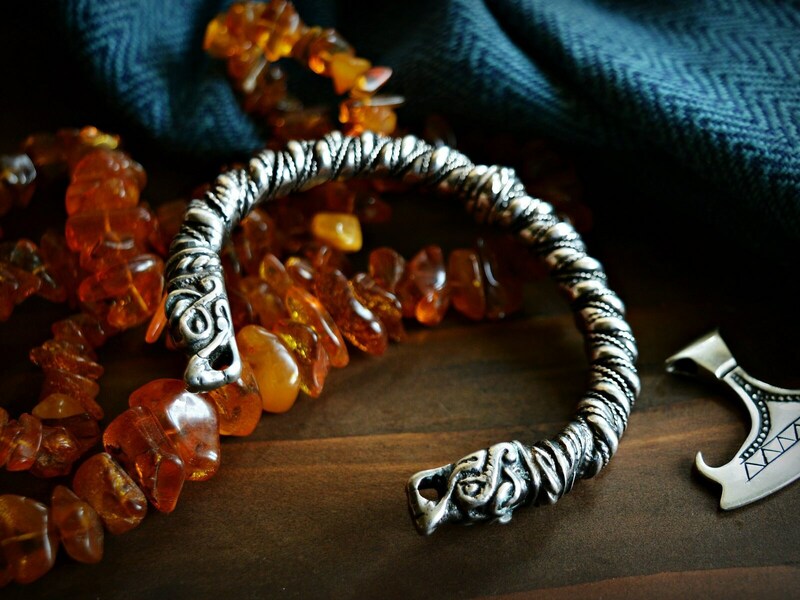 This bracelet is perfect if you also want to show your Viking style in your everyday outfits. Size: this bracelet is adjustable and fits wrists from around 17 cm to 18,5 cm in circumference (measured tightly around your wrist). Weight : around 95 grams!